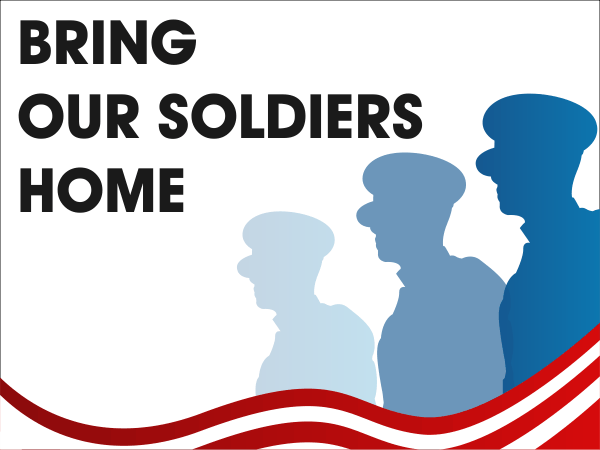 Support our soldiers coming home from overseas with our Soldiers Sign. Everyone knows someone who is in the military. If you believe these loved ones should be back home with their families, order our Soldiers Sign today. Our yard signs are intended for outdoor use. Signs measure at a standard 18" x 24" and are Made in the USA. Most orders ship next business day.